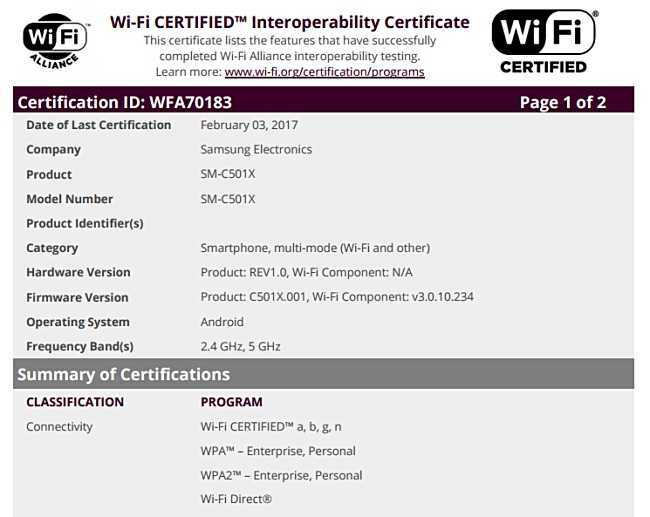 The Samsung Galaxy C5 Pro is out there for a while now and the newest Wifi certification page shows an international version of the phone that has got approved. The first time we spotted the phone was a month ago when the Galaxy C5 Pro was found in the Wifi alliance page. The organization continues to update their page as and when new models are approved. The new Samsung phone has joined the fray and this time, it comes with a model number SM-C501X. While many such certification pages confirm the version of Android that runs on the phone, this one doesn’t. The model number C501X refers to an international version of the phone while the other model spotted during the month of December is supposed to be a Chinese version. The phone has already received the TENAA and the US FCC certification as well. With all these certifications ready, it is obvious that the phone is getting ready for launch in the following weeks. 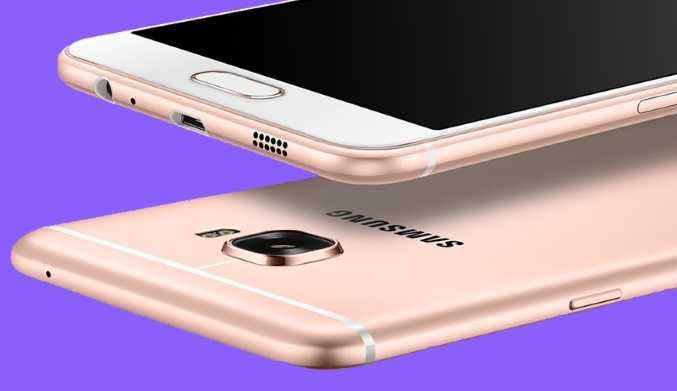 According to information that got leaked earlier, the Samsung Galaxy C5 Pro has a spacious 5.5-inch AMOLED display with a resolution of 1920×1080 pixels. The phone will be powered by a Qualcomm Snapdragon 625 processor combined with 4GB of RAM and 64GB of storage space. A higher end variant will be powered by 6GB of RAM with 128GB of storage space. It features 16 megapixel camera in the rear and another 16 megapixel camera in the front. Samsung has some of the best smartphones and tablets scheduled to be launched at the upcoming Mobile World Congress 2017 edition. The manufacturer has already sent the invitation with a teaser image that shows a possible Galaxy Tab S3 or Pro model. The wait is short as the MWC will take place by the end of this month where other brands are about to reveal their flagship smartphones as well.